Hell yeah! Mobile Comments Off on Hell yeah! Just bought gas. Paid this much. Score! 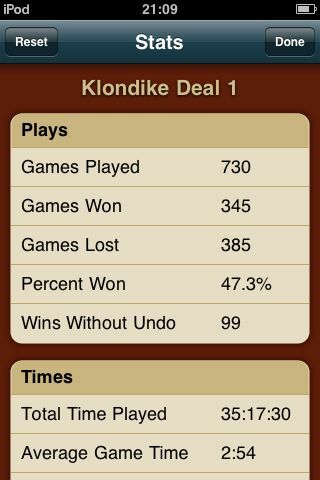 I think I may have played a little too much solitaire. I installed this app about 2 weeks ago. I’m about a week late in posting this (at least, I would be, if I cared at all about fake deadlines). On November 3, 2007, I married the love of my life. We couldn’t have had better luck, in meeting each other, in falling in love, in planning the wedding details, or having the best possible weather in early November in North Texas. Our honeymoon in San Francisco was the start of Paul and Heather, Year 1. On November 3rd, 2008, I’m even more in love with my wife now than I was when I married her. She makes me laugh when I need it, offers endless support in the decisions I have to make, and makes me happier than any one person in the world deserves. 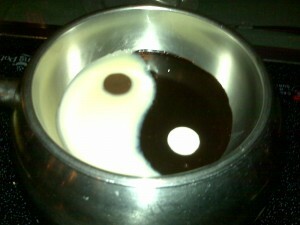 To celebrate the beginning of Year 2, we went to The Melting Pot. Amazingly tasty food there, if you haven’t been. A bit pricy, but if you’re saving up for the “we go out to eat at a fancy restaurant once a year,” this wouldn’t be a bad choice for it. Our server was very friendly, made several great suggestions, and while the event did involve a bit of concentration at times (no timers, and the meat cooks for 90-120 seconds), it was absolutely an event to remember. White and dark chocolate arranged as you see it. Very tasty, and when spooned over cheesecake, close to the most decadent thing you can legally eat in public. Or anywhere, for that matter. Heather, I love you, and I’d marry you all over again in a heartbeat. Although if we have to plan the whole thing again as well, I totally vote on running off to Vegas and getting married via drive-through.